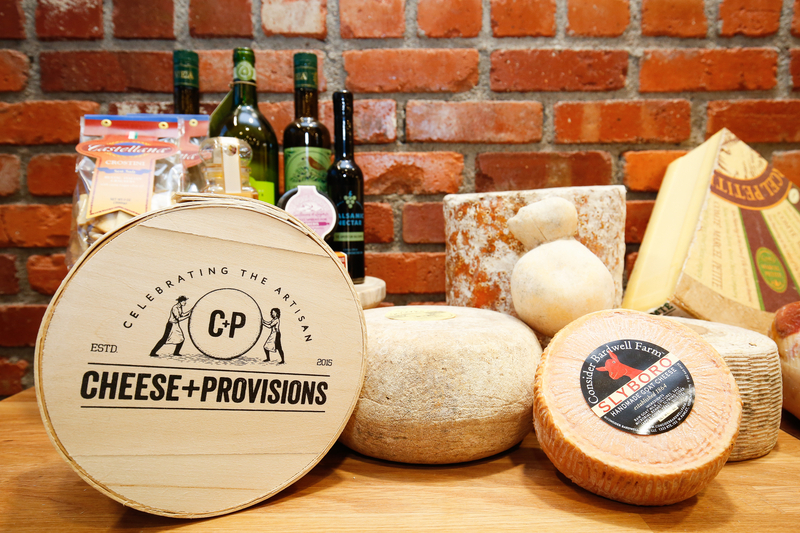 Cheese+Provisions is a cut-to-order cheese shop with an emphasis on American farmstead cheeses. Our former chef/cheesemaker leverages his lifetime of tasting and his personal relationships with cheesemakers from around the country to bring you hard-to-find, small batch cheeses. We complement the cheese with a thoughtfully selected collection of salumi, with an emphasis on American producers who employ traditional handcrafted practices to create minimally processed meats. Nothing says “you’re special” like a gift of fine food. From cheese gift boxes to “fancy food” gift boxes to gift certificates, we can help you make the foodies in your life happy. Click here to start shopping online. We have a fantastic selection of culinary treasures, including fresh bread, fine oils, artisan pastas and sauces, jams and mustards, hand-crafted chocolates and much more. Need something you don’t see? Just ask. Impress your guests with a platter of artisan cheese and cured meats. We hand-pick seasonal cheeses at their peak ripeness to make beautiful cheese boards and elaborate catering trays for any occasion. Visit our online shop or call us at (303) 455-2221. Give the gift of cheese—to family and friends or, even better, treat yourself. Each month we create a delicious box that features some of the best or most interesting cheeses in our case. Each box includes tasting notes, information on the cheesemaker and serving suggestions. Buy it for 3, 6 or 12-months. Sign up here. Hooked on cheese, and want to learn more? Our cheese classes will help you learn the differences between a bloomy rind and a washed rind cheese, how to pair cheese with wine or beer and much more. The perfect “date night.” Learn more.